Do you have a DIY project you’ve been thinking about starting or would like to complete? Something crafty, cool, fun or functional? With the right tools, you can kickstart that idea and make it a reality. That’s where Acer’s Seize the Idea Contest comes in. By entering your idea, you could win an Acer Idea Kit to get the job done. The kit includes the 11-inch Acer Aspire Switch 11 convertible laptop, the 23-inch Acer Aspire AZ3 all-in-one desktop computer and the Acer H6510 Full HD home theater projector. We’ll inspire you to dream up your next travel-related DIY idea and enter it into the Acer Seize The Idea Contest. And, during each party we’ll be giving away an Acer Aspire Switch 11! Enter for your chance to win an Acer Aspire Switch 11 laptop! 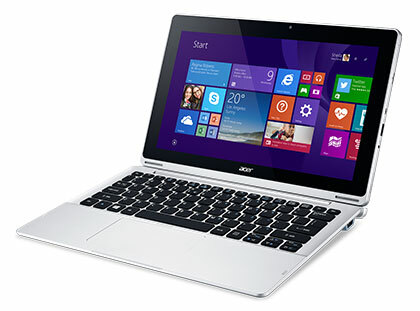 The Acer Aspire Switch 11 SW5-17139LB convertible Windows 8.1 laptop ($599.00 ARV) is built for work and play. Its 11.6-inch Full HD touchscreen display, responsive keyboard and roomy touchpad make working on the go easy. And when you want to watch movies or play games, you can flip the screen to use in stand mode—or even detach the screen altogether and use it as a tablet. Enter your Twitter handle, follow @Techlicious and @TravelingMoms and check out the Acer Seize the Idea Contest using the widget below for your chances to win! To be eligible to win you must enter below and participate in the Twitter party using #SeizeTheIdea. Tell your friends for extra chances! We will randomly select one (1) winner from the entries. No purchase is necessary to win. Void where prohibited. U.S. residents 18+ only. Giveaway ends 2/5/15 at 9:55pm ET. Click here for the full rules. 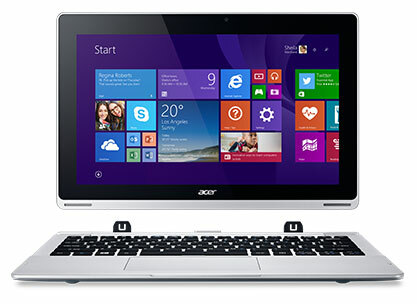 Win an Acer Aspire Switch 11 Laptop!